CFAA provides Extensive and Progressive courses from beginner to professional level. 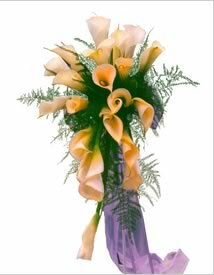 Students who have attended all the lessons of a course and successfully passed the final examination at the end of the related course can obtain a certificate issued by California Flower Art Academy. The fee for taking the final exam and also issuing a certificate will be separately charged in addition to lesson fees. Besides a certificate issued by our school, students can obtain a license of Flower Decorator certified by Flower Decorators Association, Tokyo Japan (called FDA) to which our school belongs to as a certified floral design school. In order to obtain such license of FDA, it is necessary to pass the examination by FDA. This exam consists of flower arranging skill test and written test. The written test is done in Japanese only. Certificate of Ikebana Arrangement Course is not issued by Ikebana School or Association in Japan but issued by California Flower Art Academy. As for details about a certificate issued by our school, PLEASE CLICK HERE.